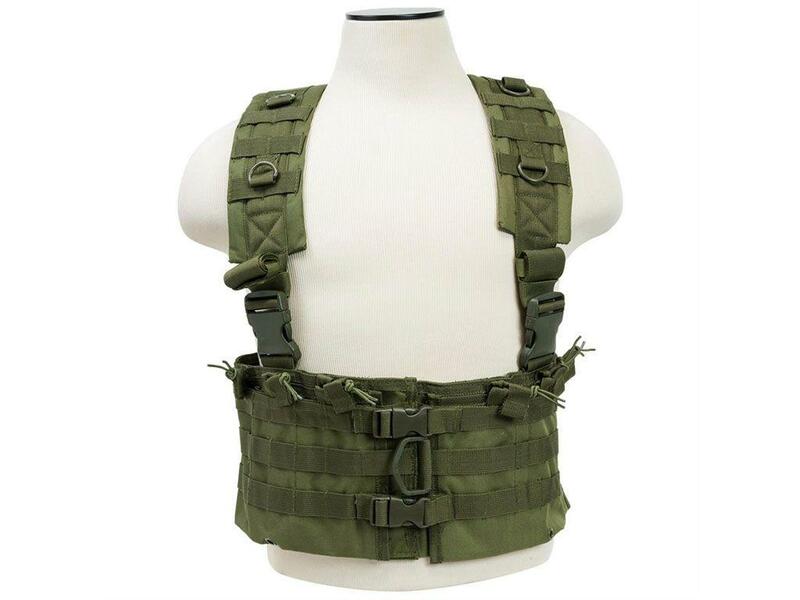 Buy Cheap Ncstar CVARCR2922G Green AR Chest Rig|ReplicaAirguns.ca | Easter Weekend Sale! 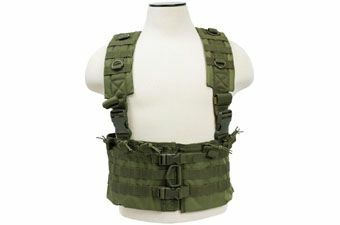 The Nc Star M4 Chest Rig Is The Newest Addition To The Tactical Gear Lineup Available From Nc Star. This Lightweight Rig Is Perfect For Any Field Player Looking For A High Speed Rig That Will Allow Them To Carry A Bunch Of Magazines And Hydration Without Weighing Them Down. This Chest Rig Has Six Double Ar Magazine Pouches With Bungee Retention Straps So You Can Carry Up To Twelve Magazines, A Place On The Back To Hold Your Hydration Bladder, And Extra Molle Webbing On The Front And Back So That You Can Attach Any Other Pouches That You Could Possibly Need.